Zambrano will represent employees in unequal pay, discrimination and harassment, wrongful termination, whistleblower, wage and hour violations suits. 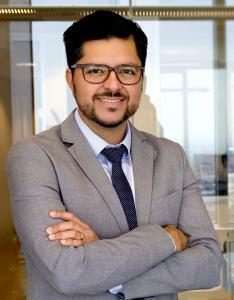 LOS ANGELES, CA, UNITED STATES, April 5, 2019 /EINPresswire.com/ -- LOS ANGELES, April 5, 2019 – West Coast Employment Lawyers announced today that Ron Zambrano has joined the firm to chair its Litigation Practice in the representation of aggrieved employees with regards to unequal pay, workplace discrimination and harassment, wrongful termination, whistleblower protection, wage and hour violations and other employment-related claims. Zambrano has won millions for aggrieved employees from all walks of life and backgrounds against the City of Los Angeles, the Long Beach Police Department, the Los Angeles Department of Water and Power, Boeing, Ralphs, Carmax, Wells Fargo, Walmart, Macy’s and Curacao. He has repeatedly prevailed before the California Court of Appeal, including a wrongful termination case (Williams v. Carlin & Buchsbaum), and a case in which the court overturned a trial court’s dismissal, allowing plaintiff to continue with a claim (Carlin & Buchsbaum v. Page). Zambrano graduated with honors from Whittier Law School, where he was Articles Editor for the Whittier Law Journal. He also has a Bachelor’s in International Relations from the University of Southern California. Zambrano, the son of South American immigrants, is fluent in Spanish. West Coast Employment Lawyers represents plaintiffs in employment and personal injury litigation. After working for the largest law firms in Los Angeles, co-founders Neama Rahmani and Allen Patatanyan now leverage their backgrounds and legal knowledge to stand up to the large and powerful corporations they once defended. The firm is passionate about its cases and committed to pursuing justice on behalf of victims and their families.